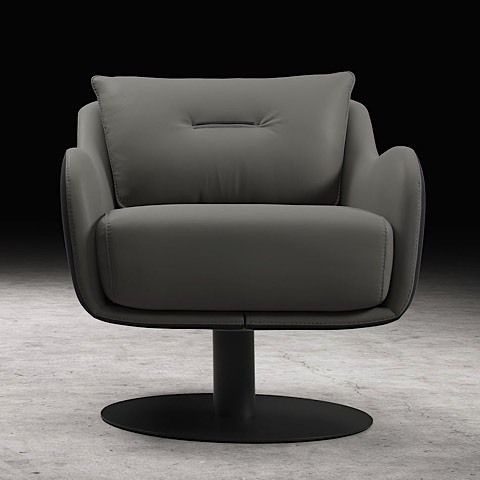 Form and functionality come together in this delightfully distinguished lounge chair. The Platt makes clever use of two-tone premium leathers that provide a visually stunning aesthetic. Both cushions exemplify this duality, featuring a minimalist leather contrast at the center of each. A perfectly rounded powder-coated steel base reinforces the butter-smooth swivel functionality afforded by the Platt's handcrafted construction.